Carr Valley Cheese is one of America’s finest specialty cheese plants. From traditional classics to award-winning American Originals, their skilled cheesemakers turn milk delivered fresh from local dairy farms into more than 100 delicious cheese varieties. LK created a fresh catalog design that reflects their wholesome products and the long standing traditions of the company developed over the last 200 years. These traits are found in the bright airy texture of the new background, engaging title fonts, easy to ready display type and a clean, organized layout. The new publication furthers the company’s branding image. 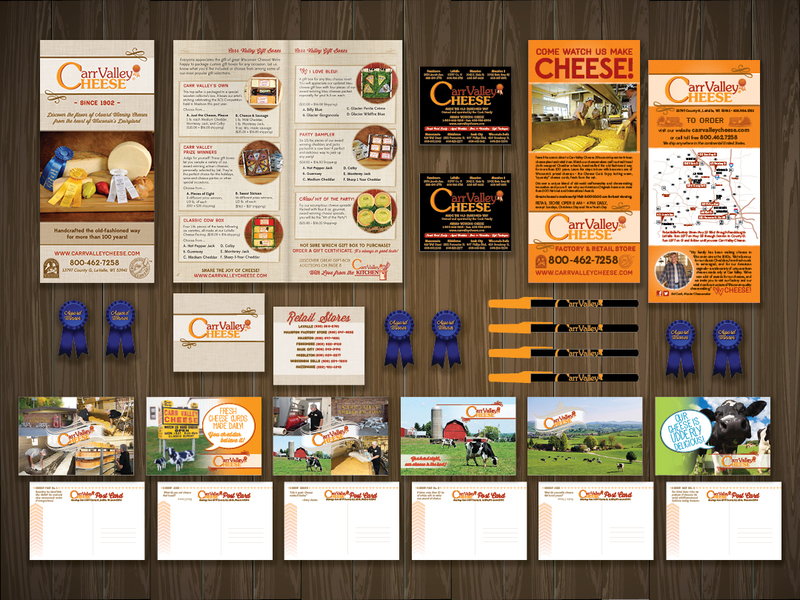 It’s work a look through not only for the beautiful design, but also for the mouth watering cheeses! It’s a combination you’re going to love! Fresh, squeaky cheese curds anyone?